Lake Garda flows through important touristic places in Lombardy, Trentino Alto Adige and Veneto Regions. 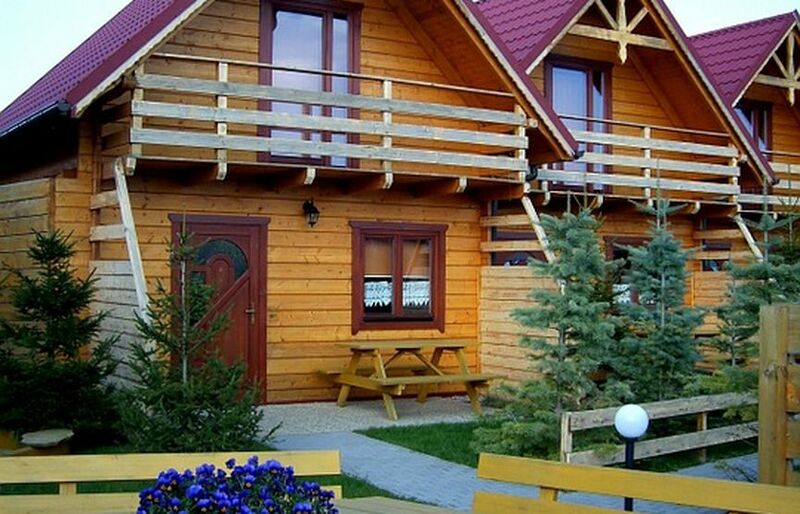 Choose where to stay in a Campsite or a Village. 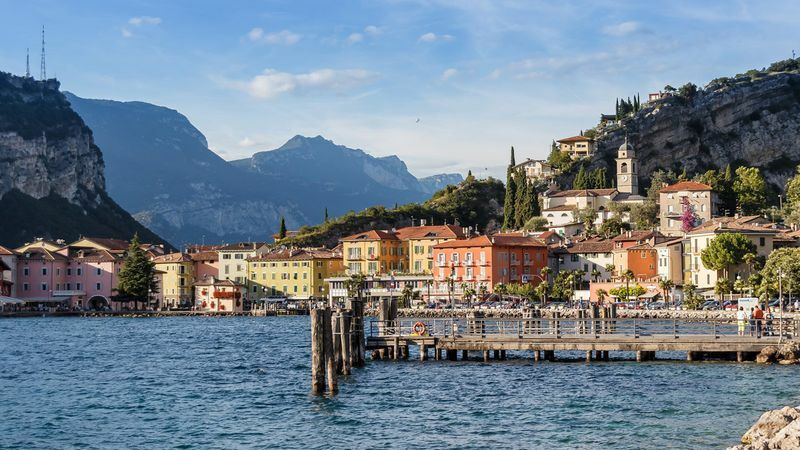 The campsites and tourist resorts on Lake Garda are a reference point for anyone seeking a holiday in this fabulous Italian area, which embraces three regions: Lombardy, Veneto and Trentino Alto Adige. Lake Garda is Italy's largest lake, and probably the most visited by Italian and foreign tourists; its waters touch Lombardy in the province of Brescia, Veneto in the province of Verona and Trentino Alto Adige in the province of Trento. The Lombardy province of Brescia is bathed by the western and southern shores of Lake Garda. Moving southwards from the northern border with Trentino Alto Adige, the landscape gradually changes from the rugged nature of the Alto Garda Bresciano Park to the more populated areas of Lombardy. 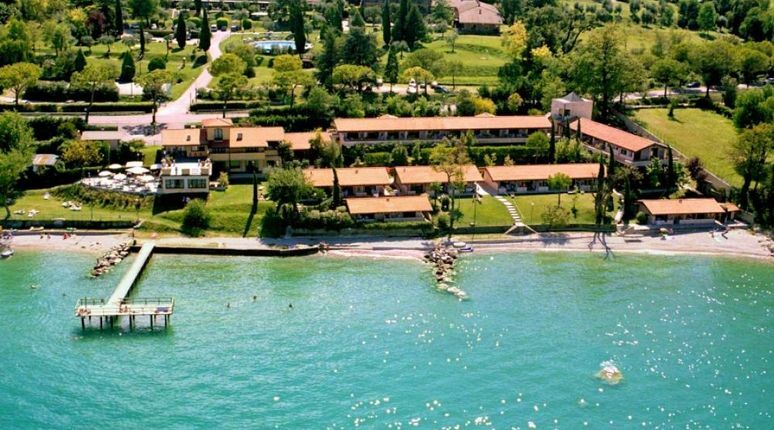 The most important lakeshore destinations in the province of Brescia - all offering campsites and resorts - include: Sirmione, with its famous thermal spa and Scaligero Castle, Desenzano del Garda, Padenghe sul Garda, Moniga del Garda, Manerba del Garda, San Felice del Benaco, Toscolano Maderno, Gargnano and Limone. Travelling eastwards, we cross into the Veneto area of Lake Garda; here too the more popular tourist resorts are to the south and the landscape becomes increasingly wild the further north we go, with Mount Baldo and the border with Trentino Alto Adige. In the southern part of the Veneto Garda are the celebrated amusement parks such as Gardaland and the Caneva water park. Important lakeshore destinations in the province of Verona include: Peschiera del Garda, Lazise, Bardolino, Torri del Benaco, Brenzone sul Garda, Malcesine, San Zeno di Montagna and Castelnuovo del Garda. At the northern tip of Lake Garda is a short stretch of shore in Trentino Alto Adige; the primary attraction of this area is its nature and the surrounding mountains. The picturesque setting is ideal for holidays devoted to relaxation, but also for active holidays, with water sports from sailing to windsurfing and nature trails to be explored on foot or by mountain bike. You can also try paragliding and rock climbing in this area. Well-known places in the province of Trento on Lake Garda include: Riva del Garda, Nago - Torbole and Arco. Organize your holiday by choosing among the services offered by Campsites and Villages in Lake Garda: plan your best stay honing the search for services which are essentials for a successful trip! Still wondering where to stay? Not your favourite option? Discover our other offers! Want to read the whole thing? Go to the entire abstract.